Angie’s List is a site dedicated to providing homeowners and business owners, just like you, with honest ratings and reviews of the best local service providers, like roofers, plumbers, handymen, mechanics, doctors, electricians, and dentists. 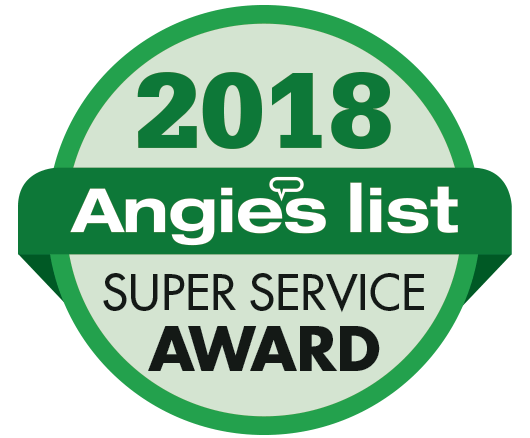 Every month, Angie’s List members submit more than 60,000 reviews about the companies they hire – including details about their specific project, as well as grades (A to F) for response time, price, professionalism, and quality of work – allowing others to make more well-informed decisions when hiring local service providers. 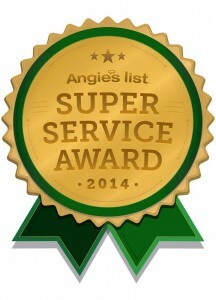 TriStar Electric is very pleased to announce that we have been awarded the Angie’s List Super Service Award for 2014. Recipients must meet strict eligibility requirements, including an “A” rating in overall grade, recent grade, and review period grade; the company must abide by Angie’s List operational guidelines and be in good standing with Angie’s List; as well as pass a background check. For the past two decades, TriStar Electric has continued to put you, the customer, first. It is this dedication to customer service that has allowed us to become Maryland’s premier residential and commercial electrician. We also proudly serve Southern Pennsylvania, Northern Virginia, and Washington D.C.
Our electrical and lighting services range from outdoor lighting to under cabinet lighting, smoke alarm installation, generator maintenance and installation, and more. Regardless of the service we are providing, you can be sure that our employees will show up on time, respect your home, perform all work in a timely manner, and walk you through everything to make sure you are 100% satisfied. If you aren’t happy, we aren’t happy. At TriStar Electric, we strive to provide each client with personalized customer service. If you are interested in learning more about TriStar Electric, please contact us by calling 410-799-5791 or 301-384-8880 or fill out the contact form on our website. Our electricians will answer your questions and provide you with expert advice. This entry was posted on Friday, February 27th, 2015 at 3:50 pm. Both comments and pings are currently closed.